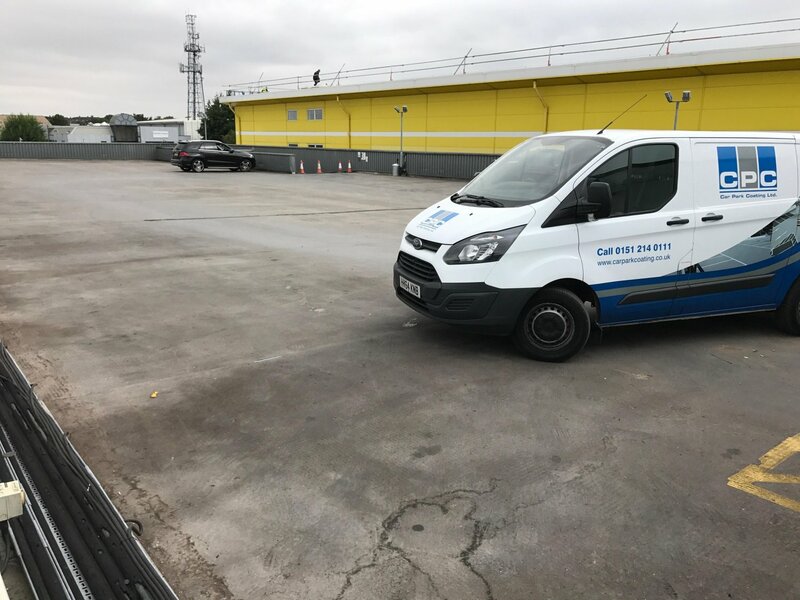 Following successful installation for Inchcape in other locations, CPC were contracted to undertake the necessary works on the VW dealership car park deck in Romford. 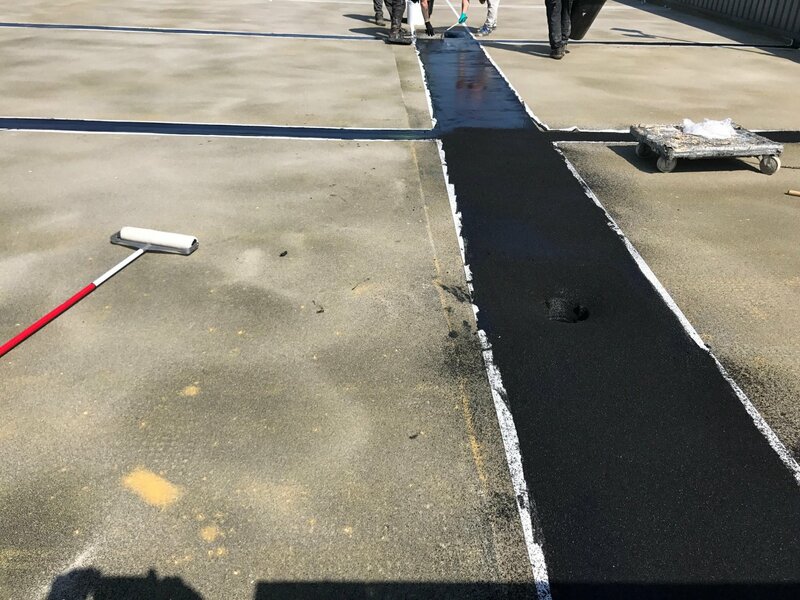 The existing mastic asphalt deck system had split in several places and was allowing water to leak through. 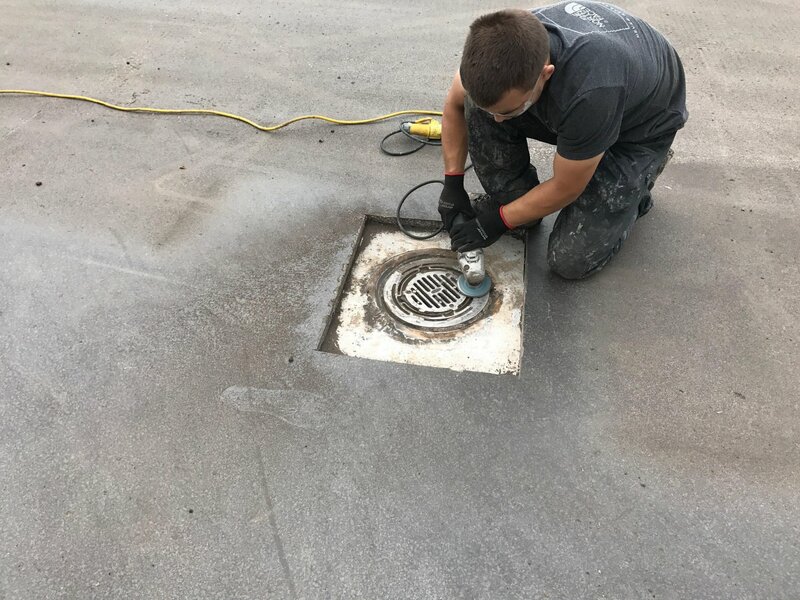 Also, the asphalt had shrunk away from the drainage gulleys allowing water to flow down the gaps around them. 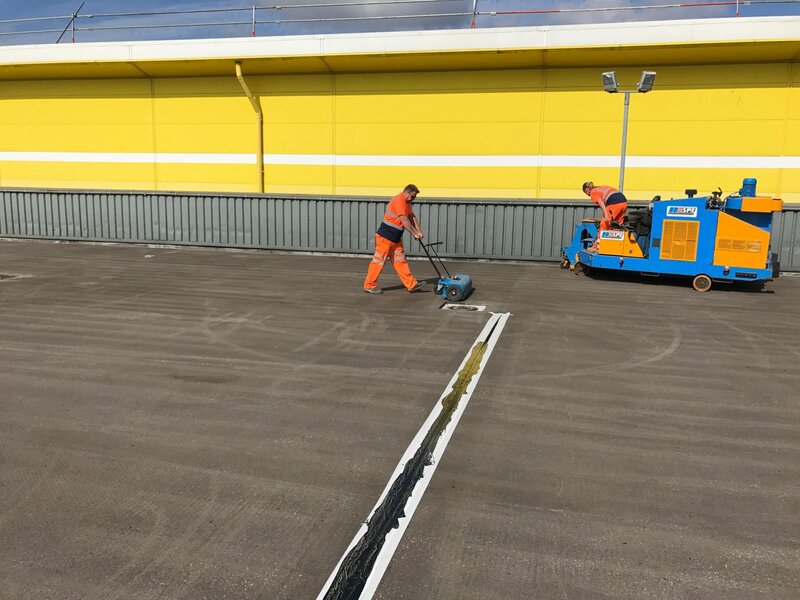 Using diamond grinding equipment, CPC prepared the asphalt to remove the majority of the dimpled texture. 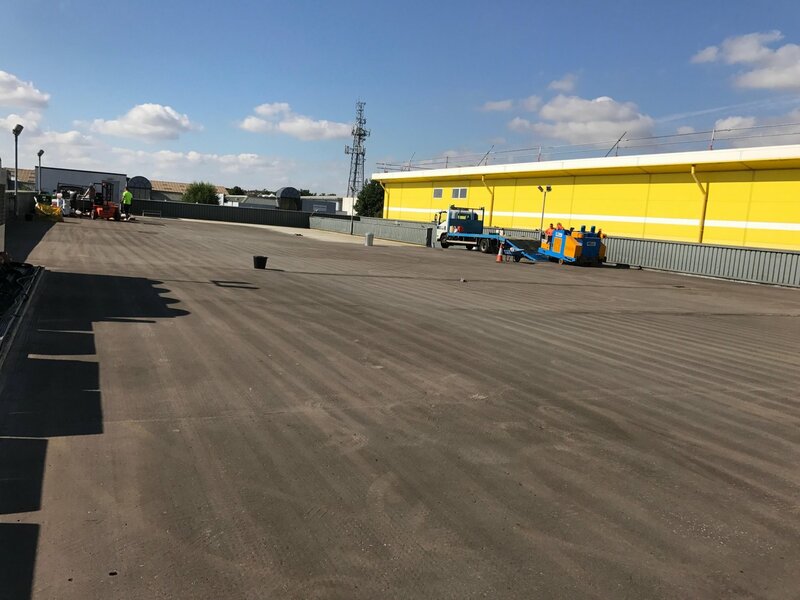 The splits in the asphalt and the gulley surrounds were cut back to the structure and all gaps filled with Deckmaster Flexible Mortar, to allow movement to occur without compromising the waterproofing requirements. 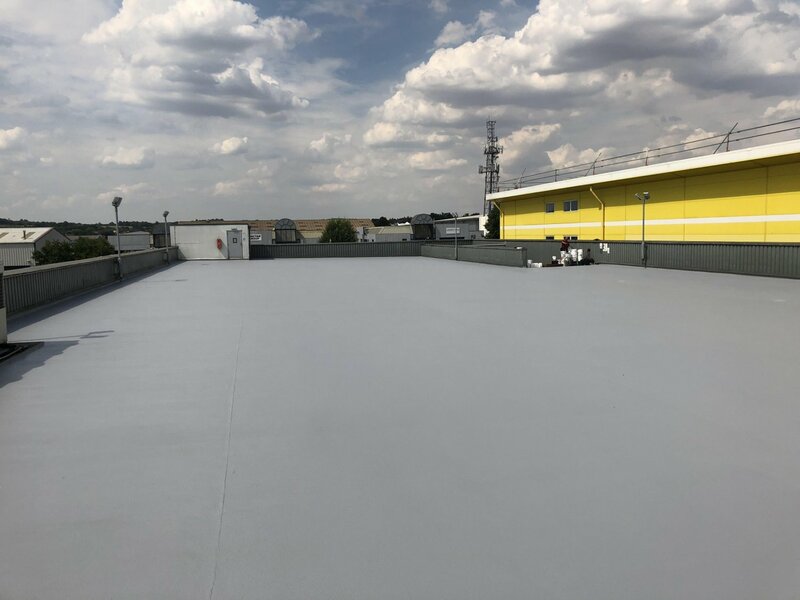 Deckmaster System R was installed to the car park deck following the installation of banding layers of Deckmaster Membrane over the structural joints, where movement was most likely to occur.